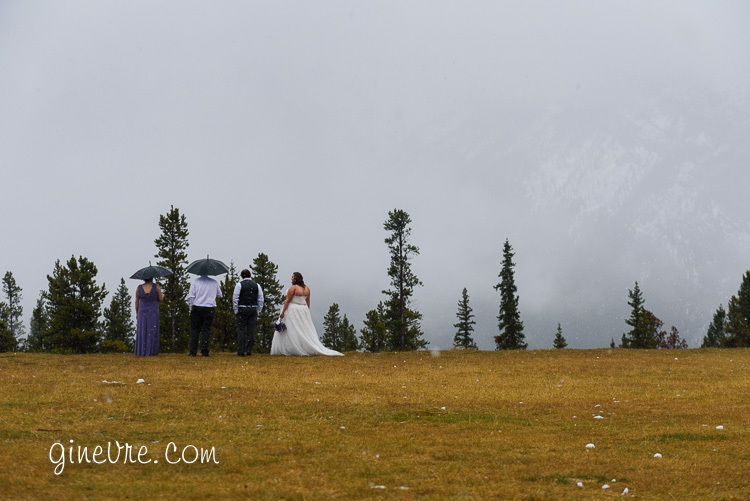 Mountain weather in inherently unpredictable, so when you travel to the mountains you want to be prepared for sun, rain or snow at any time of year. 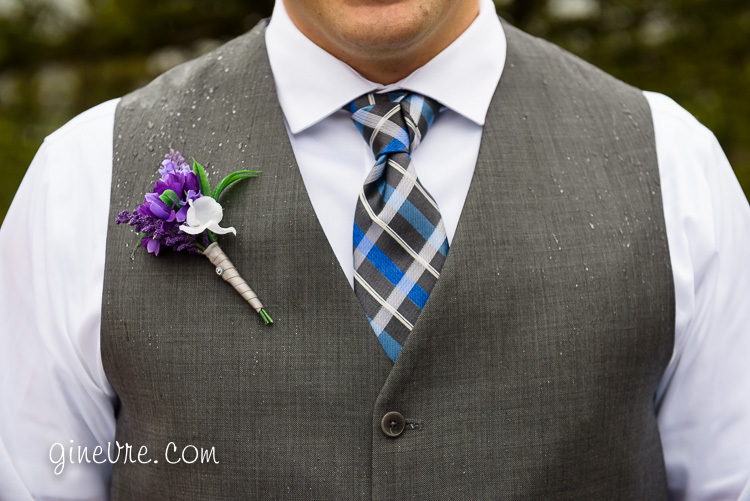 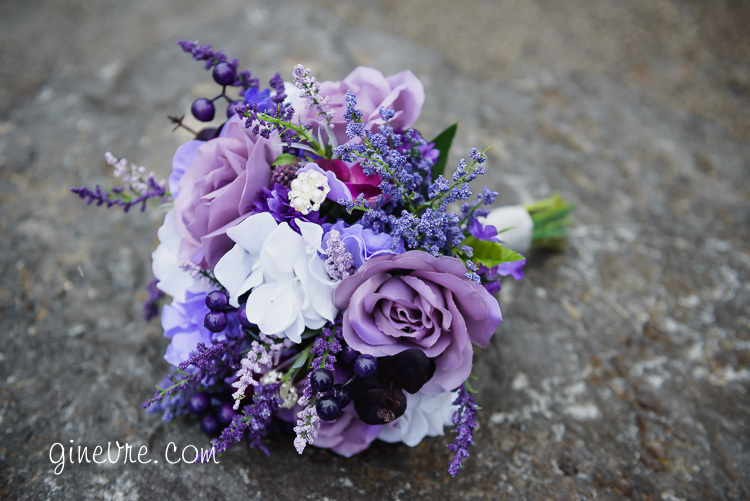 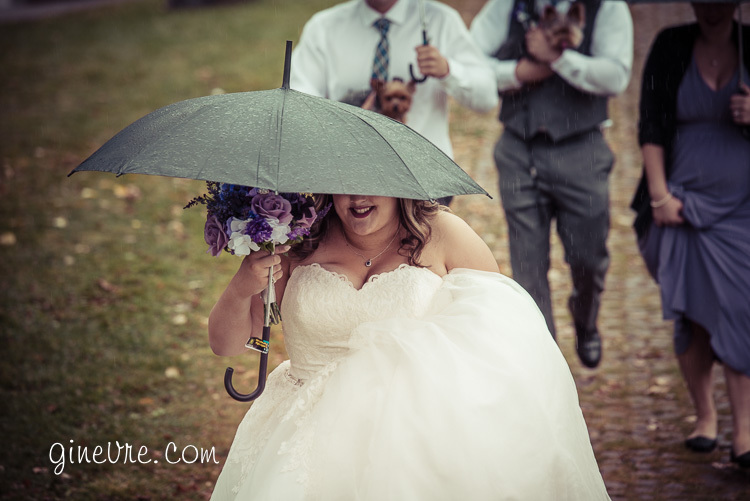 Apart from warm clothing, the best thing you can bring is a good attitude, because if you are going to get soaking wet on your wedding day, you might as well have a good time doing it! 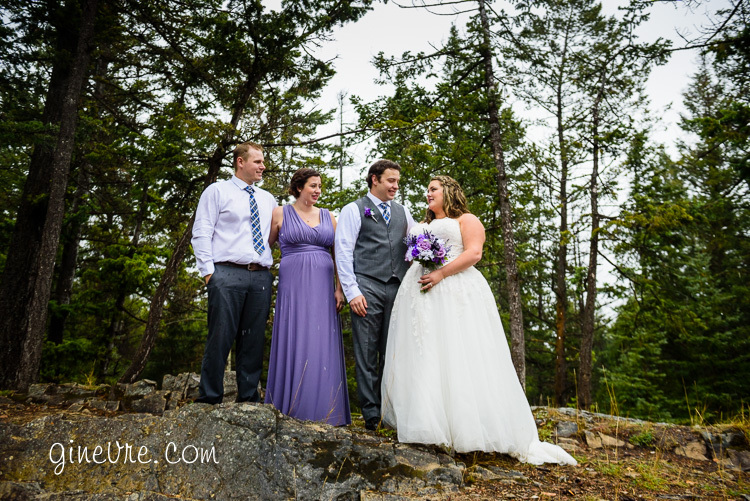 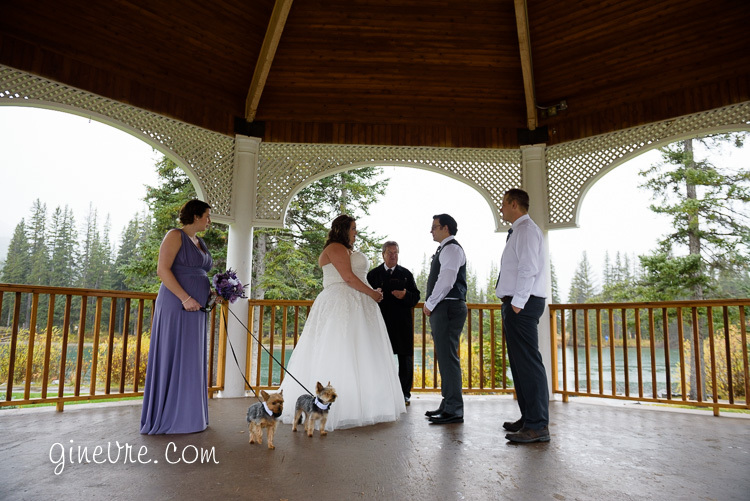 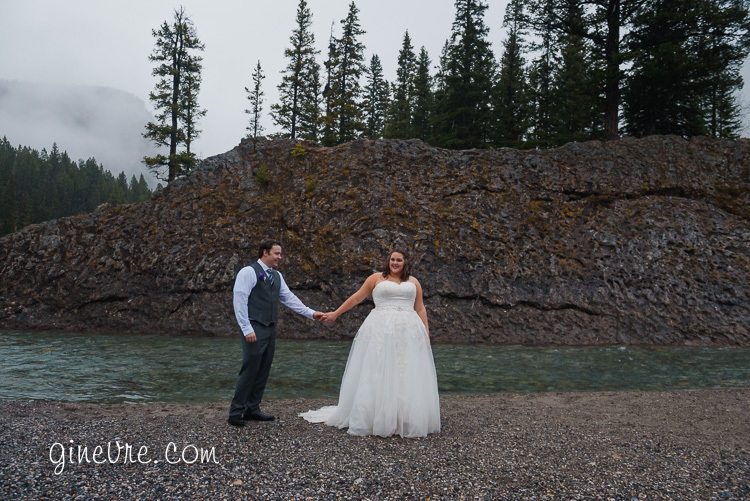 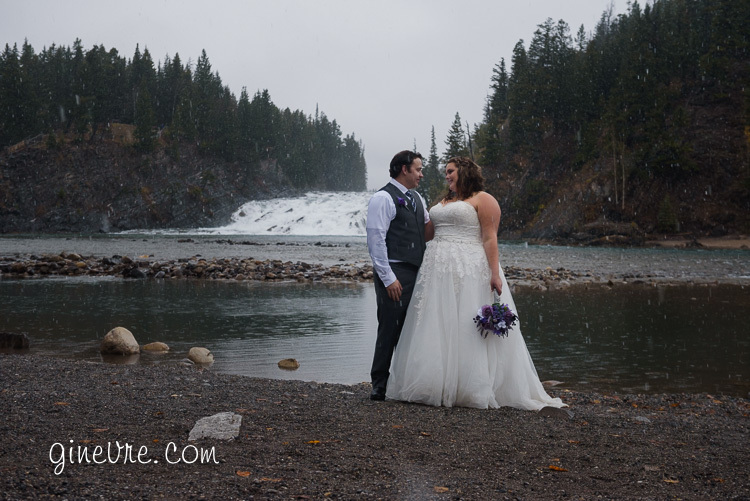 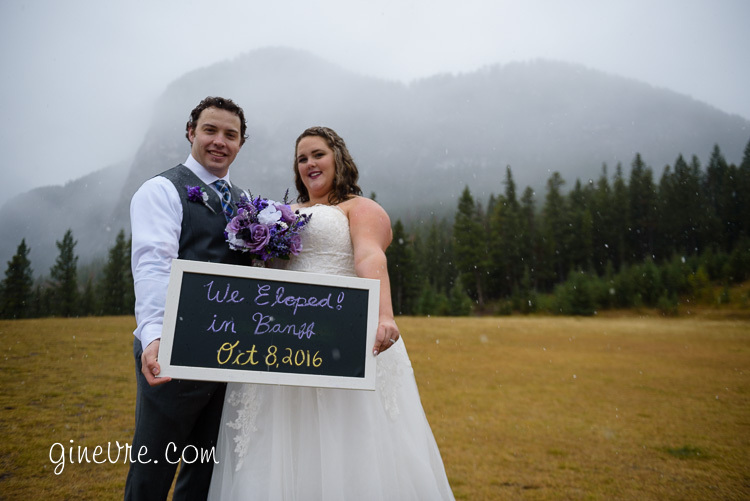 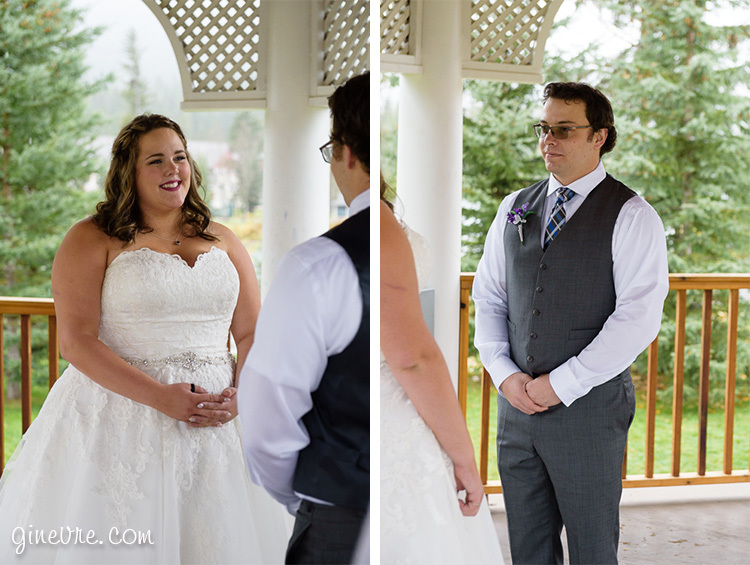 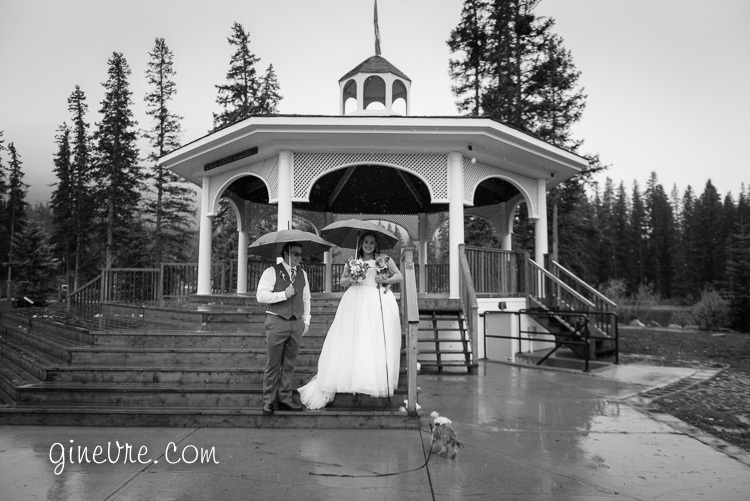 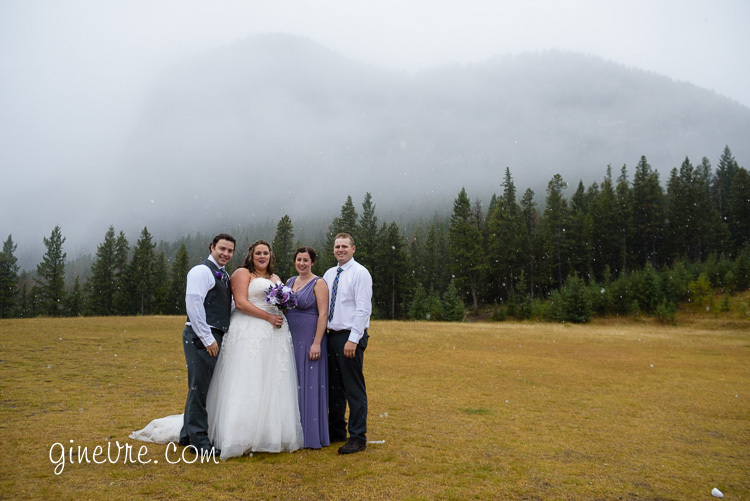 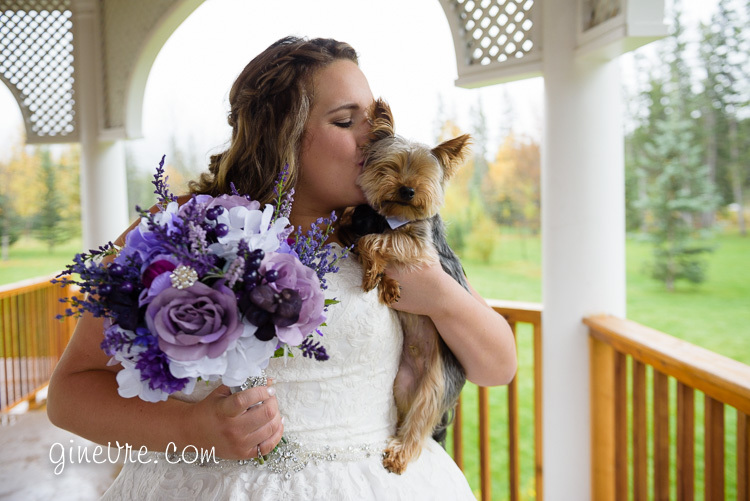 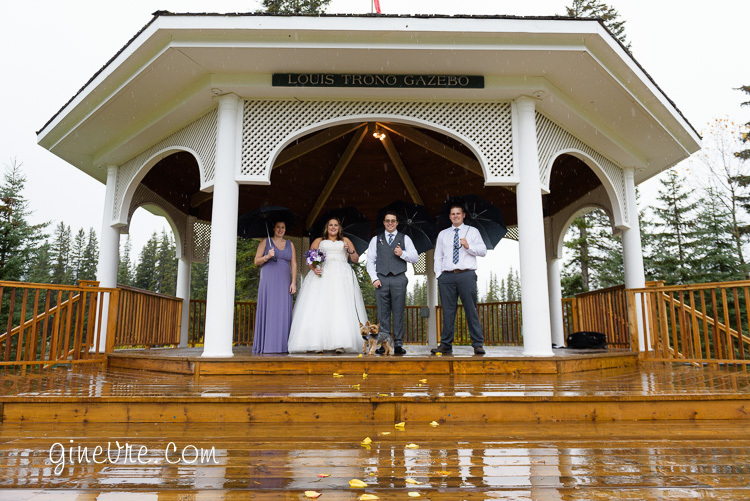 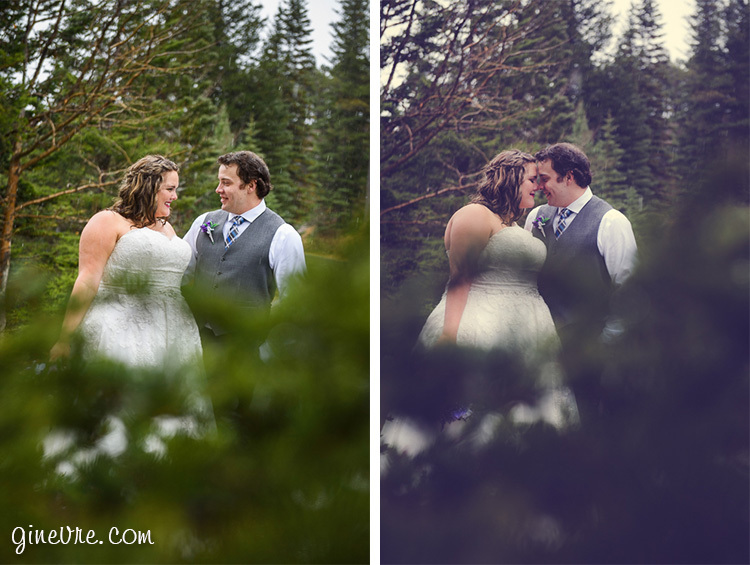 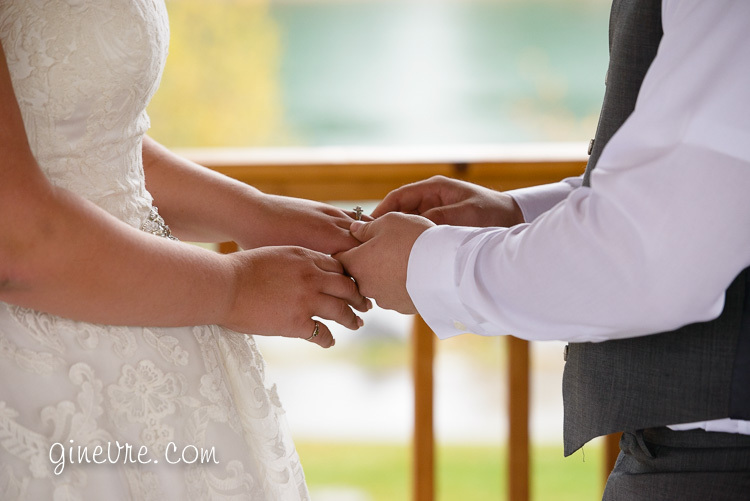 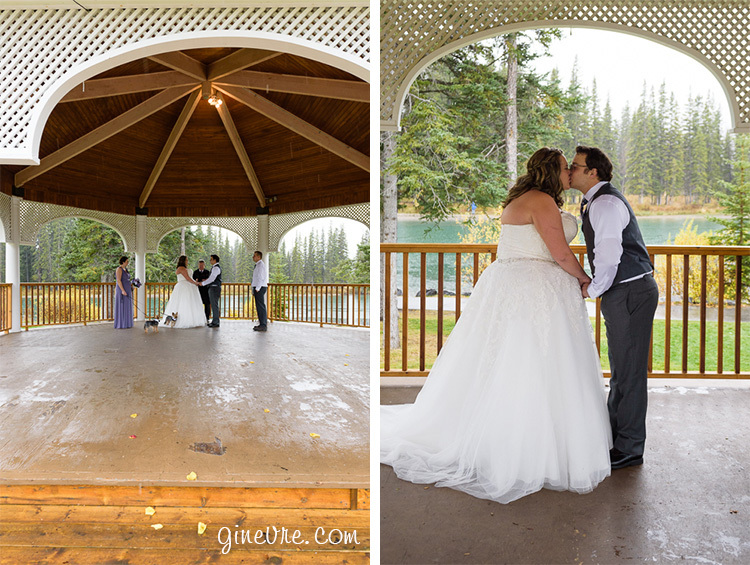 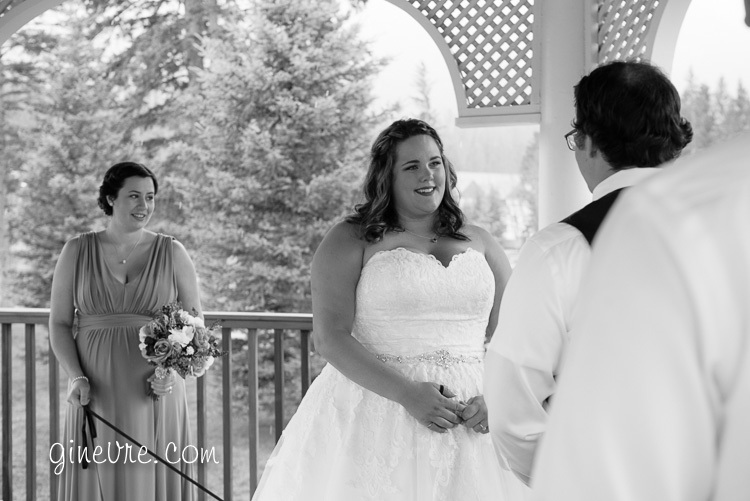 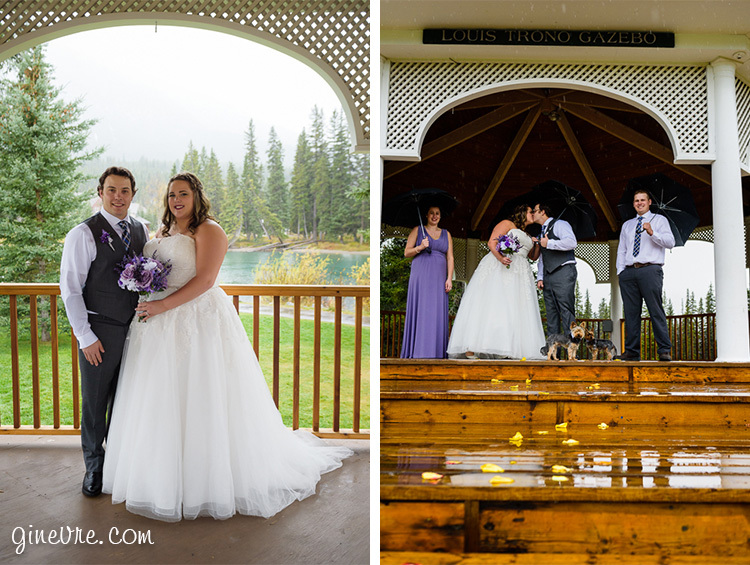 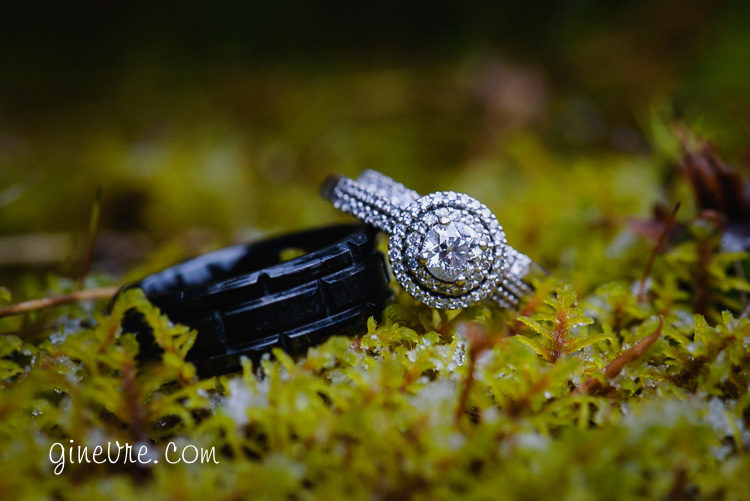 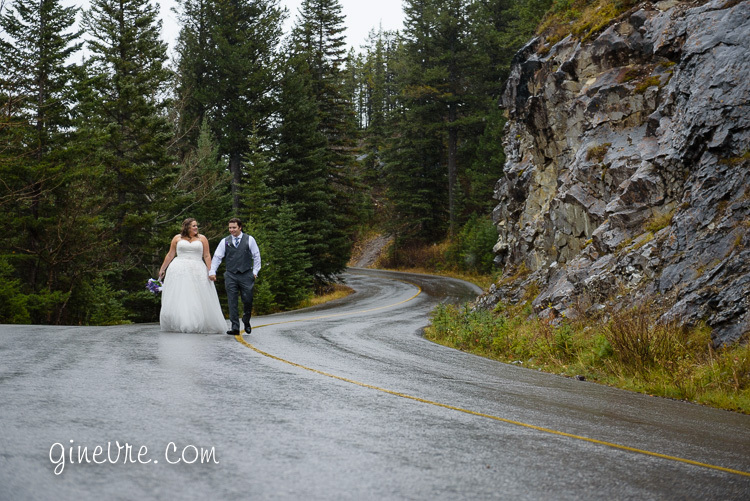 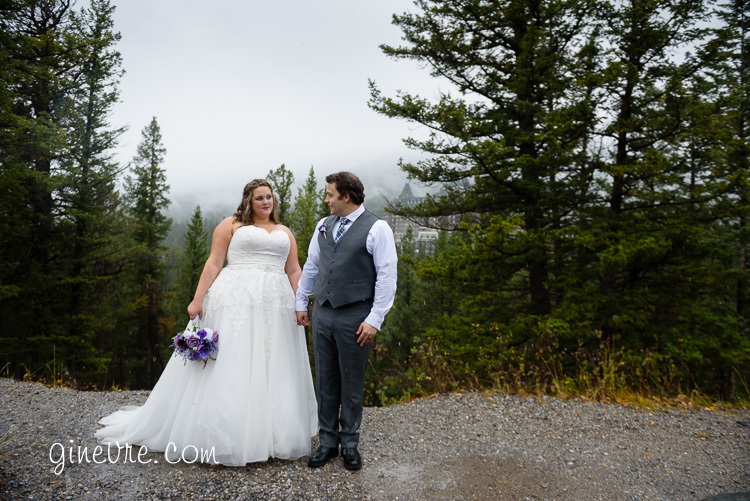 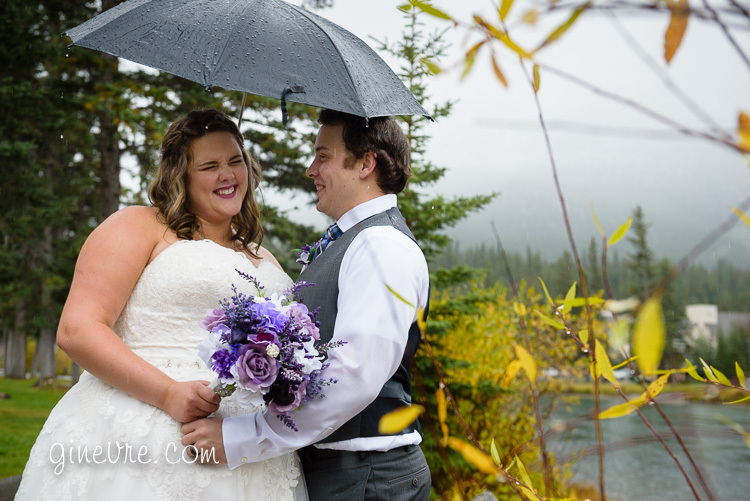 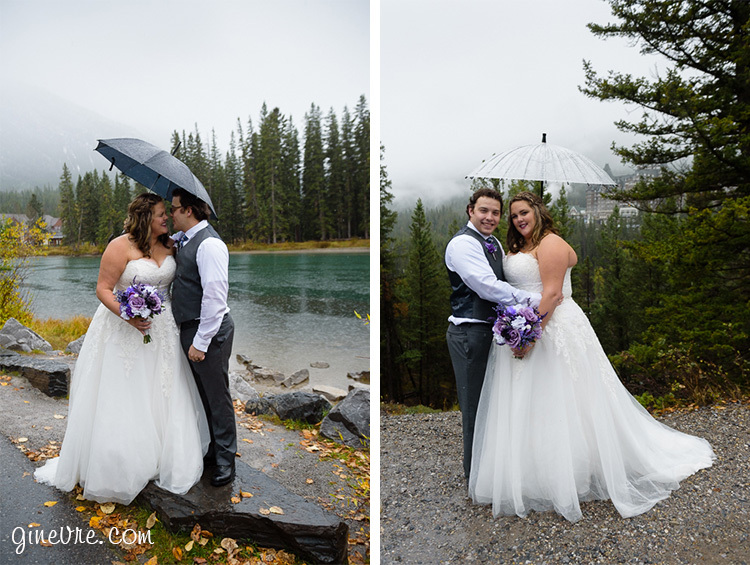 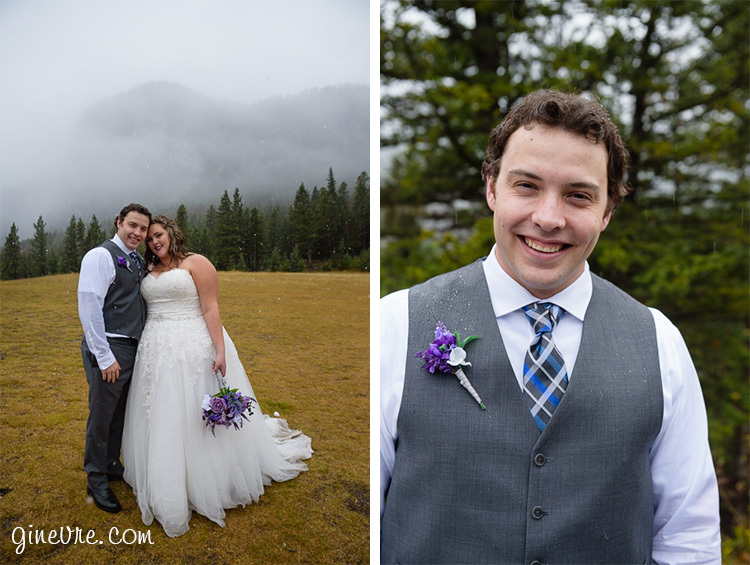 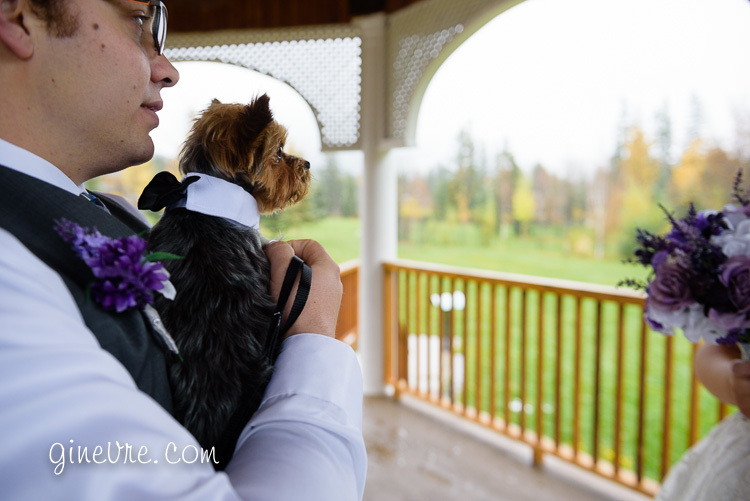 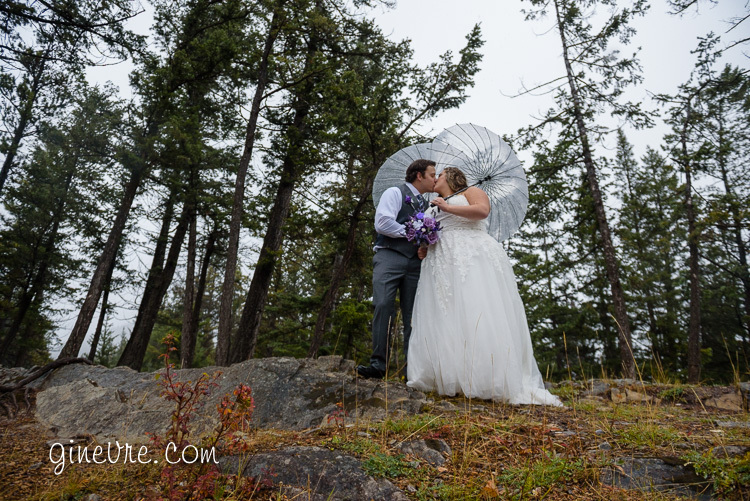 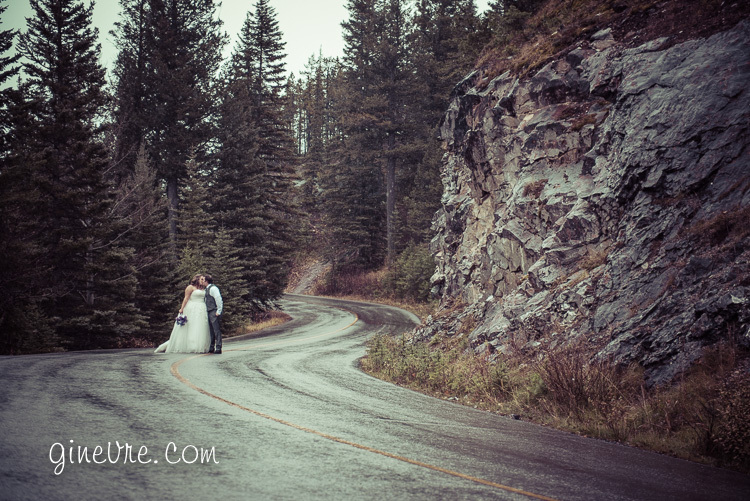 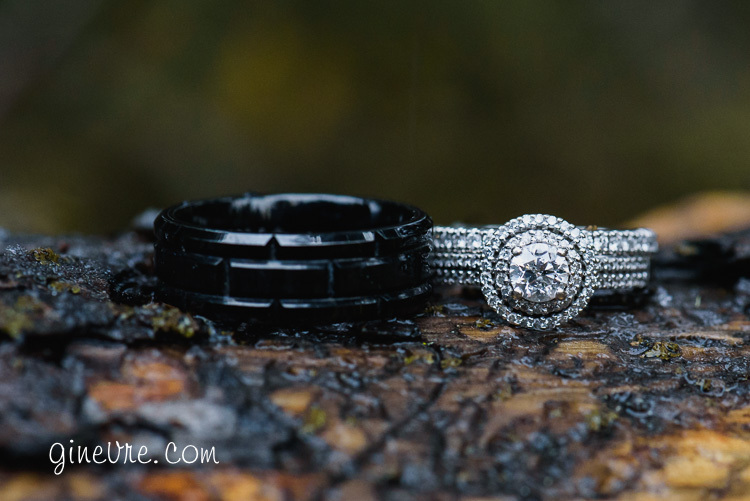 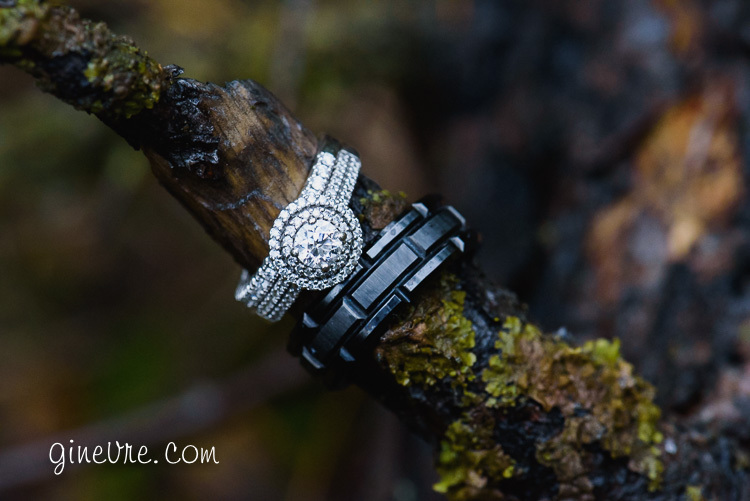 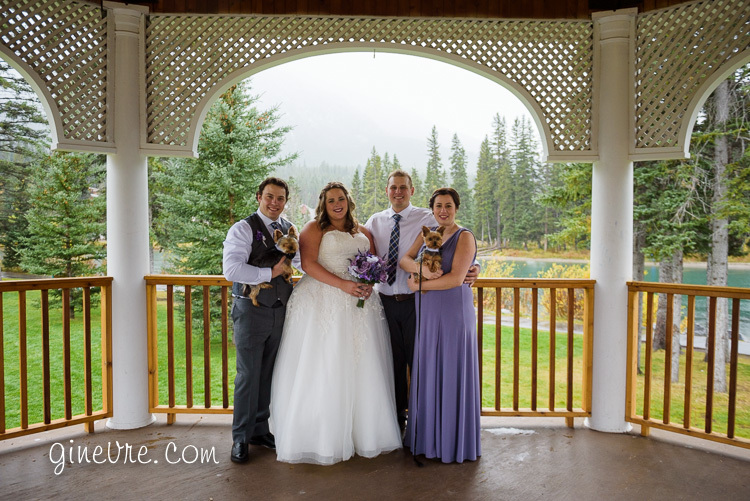 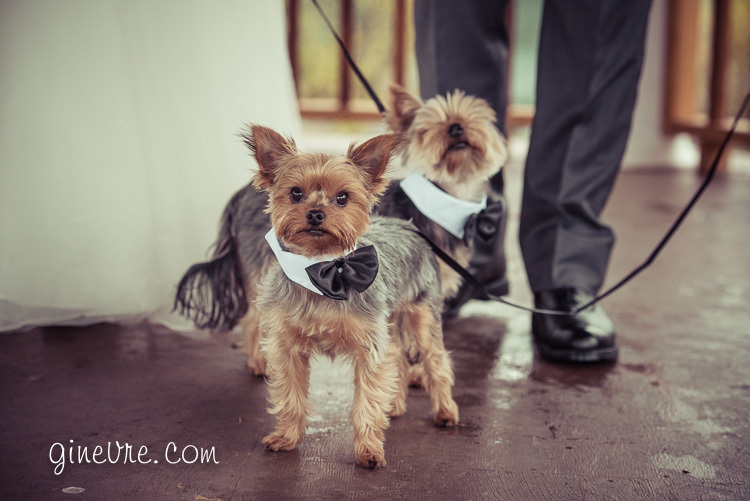 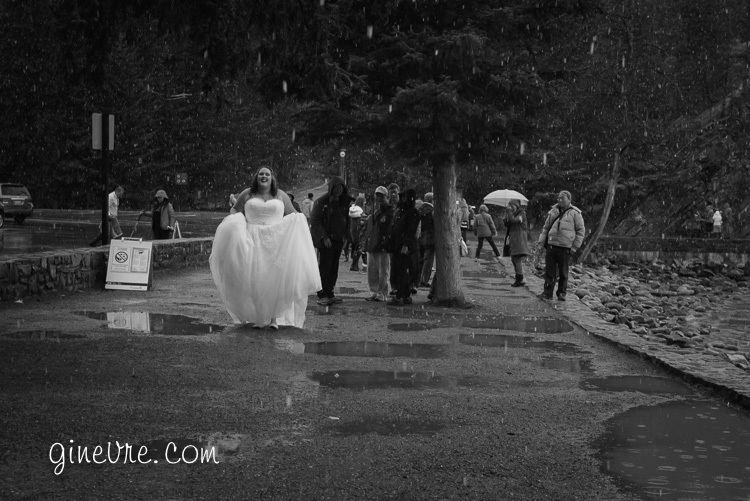 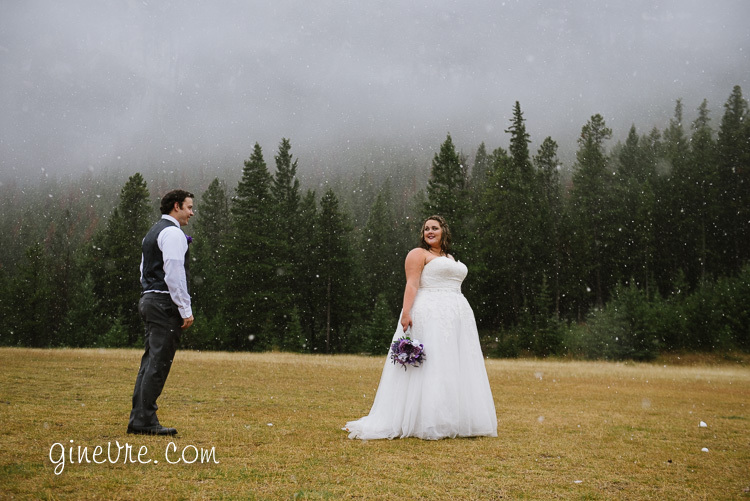 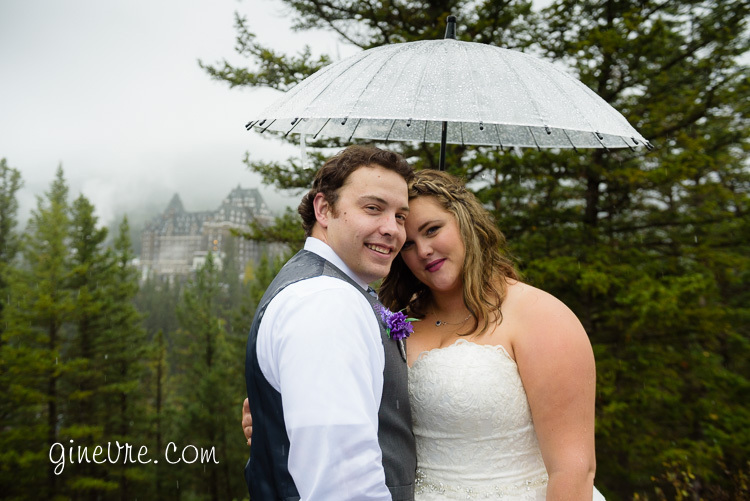 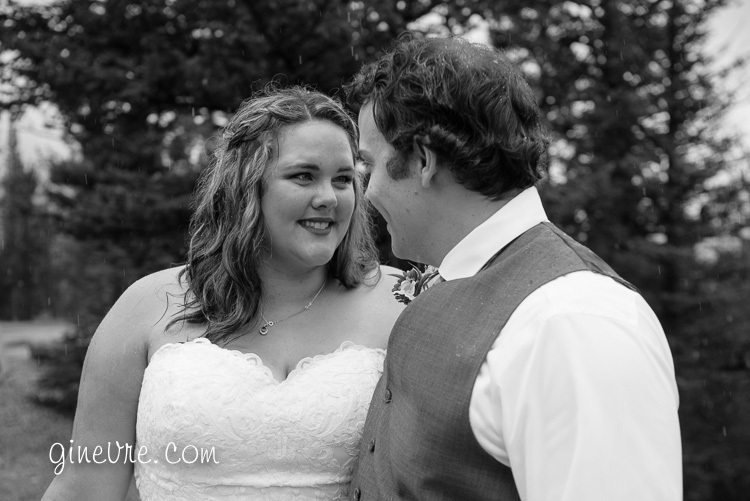 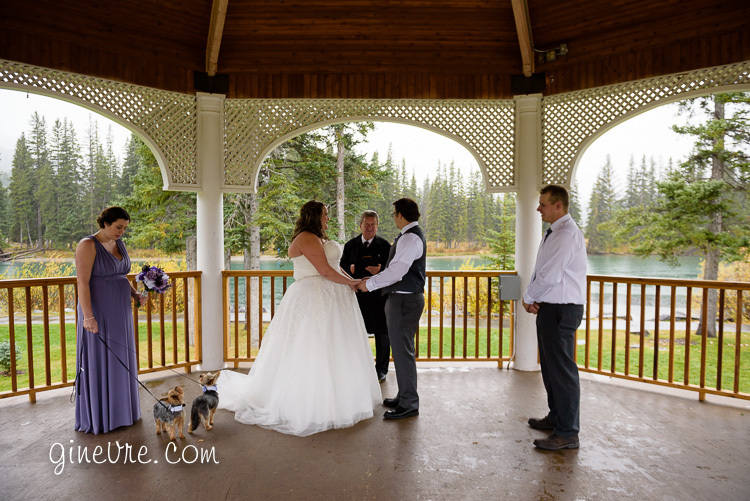 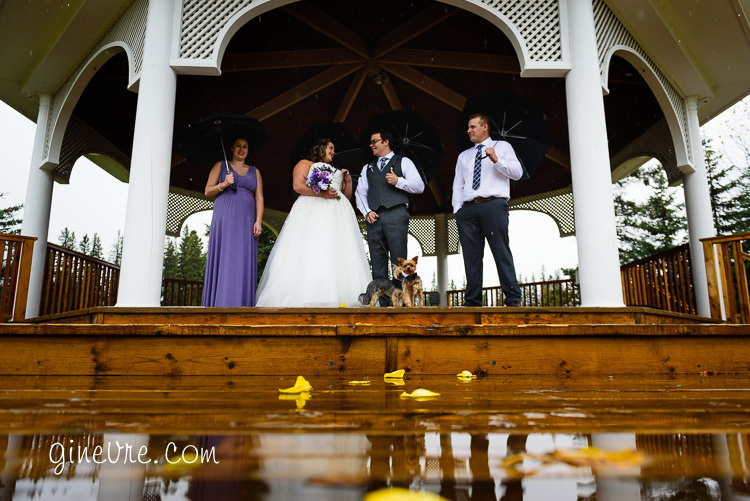 With a last-minute location change from Two Jack Lake to the gazebo in town, and no chance of a break in the rain, we managed to stay dry for the ceremony and then we had to just go out in the rain and snow and make wonderful images. 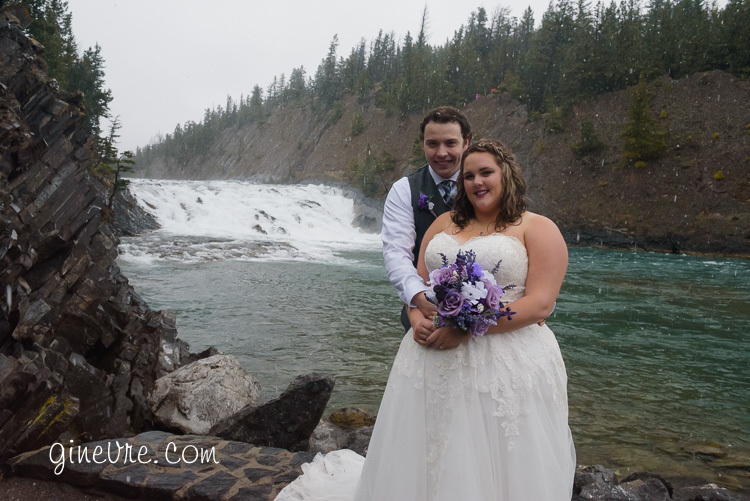 I don’t think Charla ever stopped smiling, no matter how cold or wet we got. 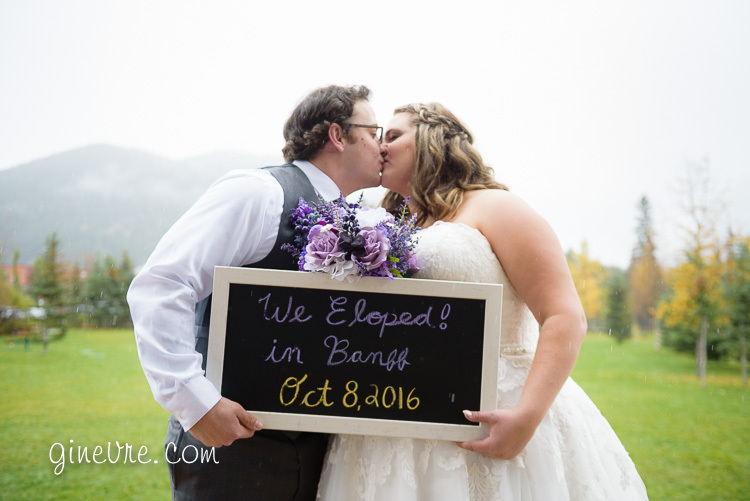 And really, that’s all that matters.